Add all the above mentioned ingredients in large bowl. Mix well and then add softened butter to the flour mixture. Knead well till you get soft dough. If required you can add little milk. Divide the dough into 20 small portions. 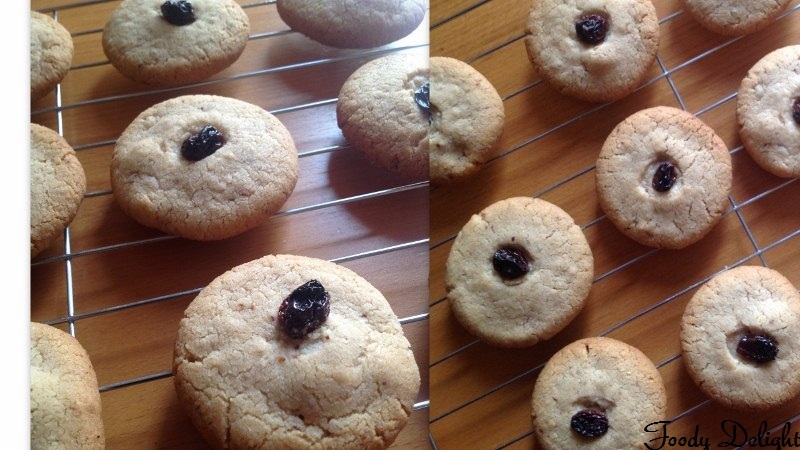 Roll the each portion into smooth ball and slightly flatten it to give shape of cookies. On the cookies place your favourite nuts as the toppings. I used raisins. Arrange these flatten cookies on the ungreased baking pan. Leave some space in between the cookies. Bake the cookies for about 15 minutes. When done allow to cool for 5 minutes and then transfer them on cooling rack. Let them cool completely and then store cookies in airtight container. 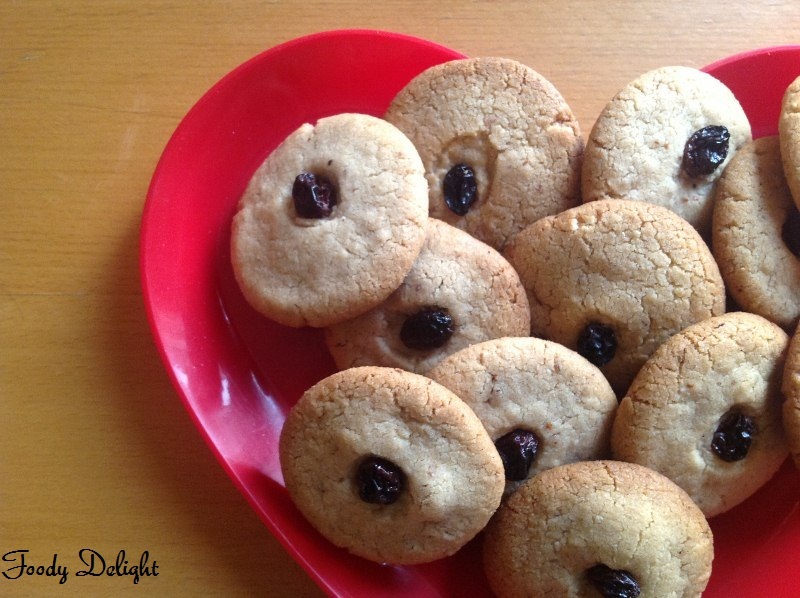 Do not over bake the cookies or do not allow the cookies to become crispy.They become very hard like a stone.So be careful. 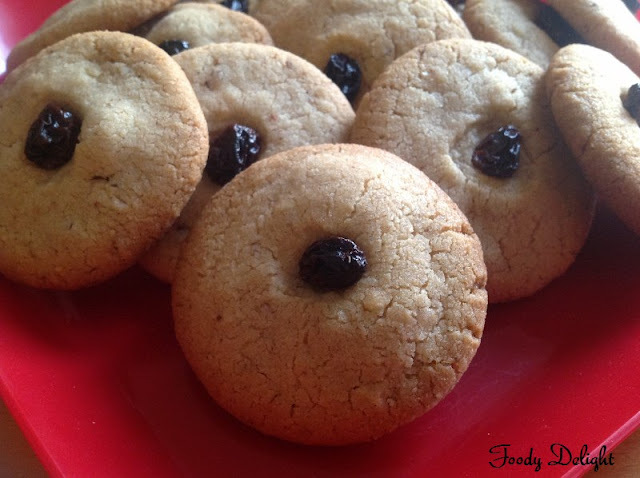 Wow... cookies time.. looks crunchy. Delicious n cute cookies,perfect for tea!! 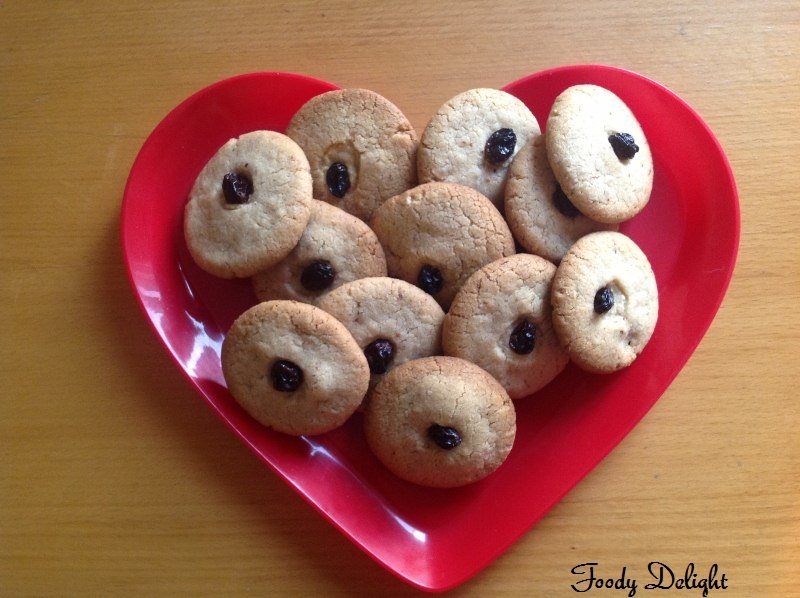 Healthy list of ingredients and very well made cookies. cookies looks just awesum..n nice cliks.